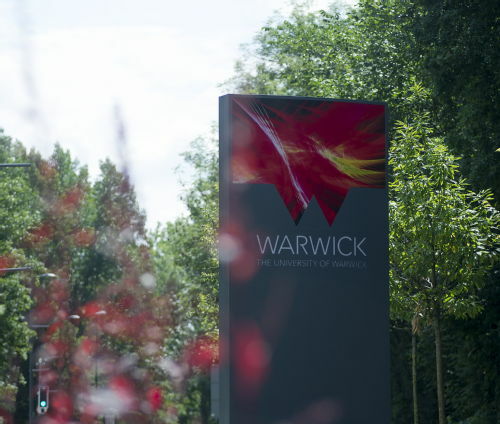 The University of Warwick is one of the leading Coventry and Warwickshire organisations which have joined together on a major project to support businesses across the region with education and training. The Collaborate to Train Coventry and Warwickshire project is part funded by the European Social Fund, and aims to improve the ways in which education providers, local authorities and other stakeholders work together with businesses to provide high quality and effective education and training services in a more collaborative, user-led way. The project, led by WCG (Warwickshire College Group), is especially targeted at small and medium enterprises (SMEs) and will look at ways to help them get involved in education and training, in particular through providing additional work experience placements, supported internships, apprenticeships and working with schools. The three-year project is being delivered through a consortium of the major stakeholders in education, training and business engagement. Along with WCG and the University of Warwick, these are Coventry College, North Warwickshire and South Leicestershire College, Coventry University Social Enterprise, and Coventry City Council. Warwickshire County Council is a strategic partner, and other local stakeholders such as business networks, schools and private training providers will also be involved to ensure the project has maximum impact. There are already over 50 small businesses benefiting from the project in its first few months. To find out more and to get involved fill in the employer enquiry form at www.wcg.ac.uk/collaboratetotrain, or contact any of the partners directly.